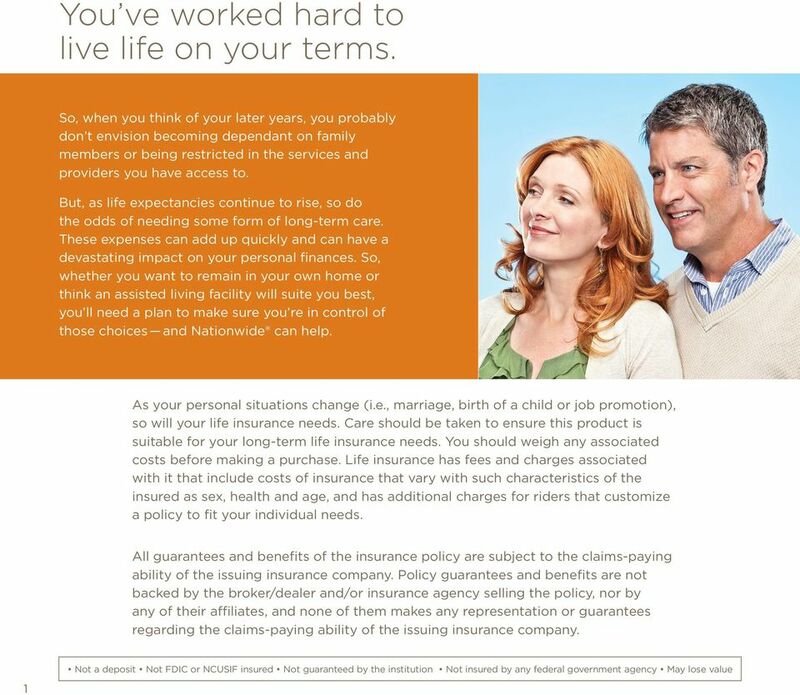 Download "Take control of your future." 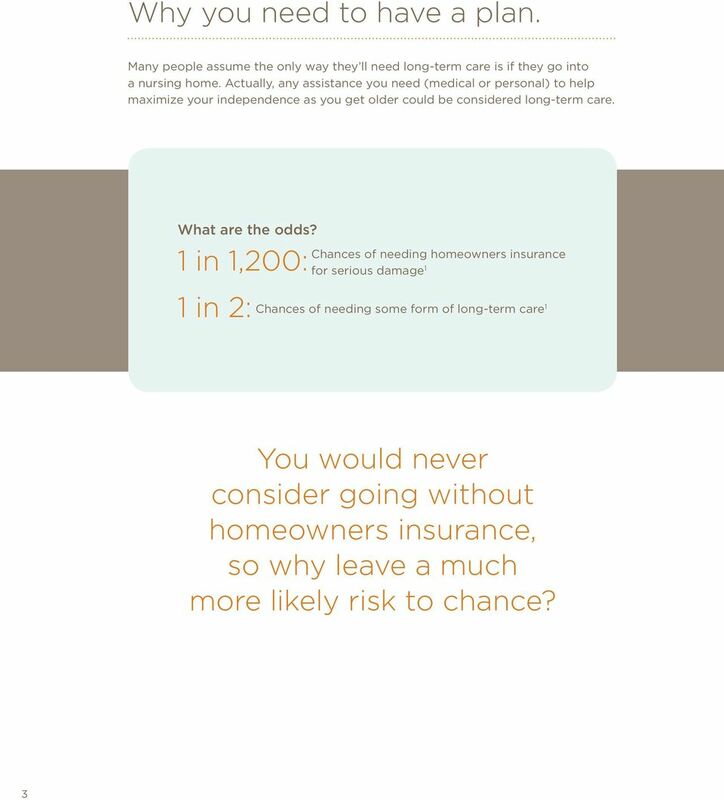 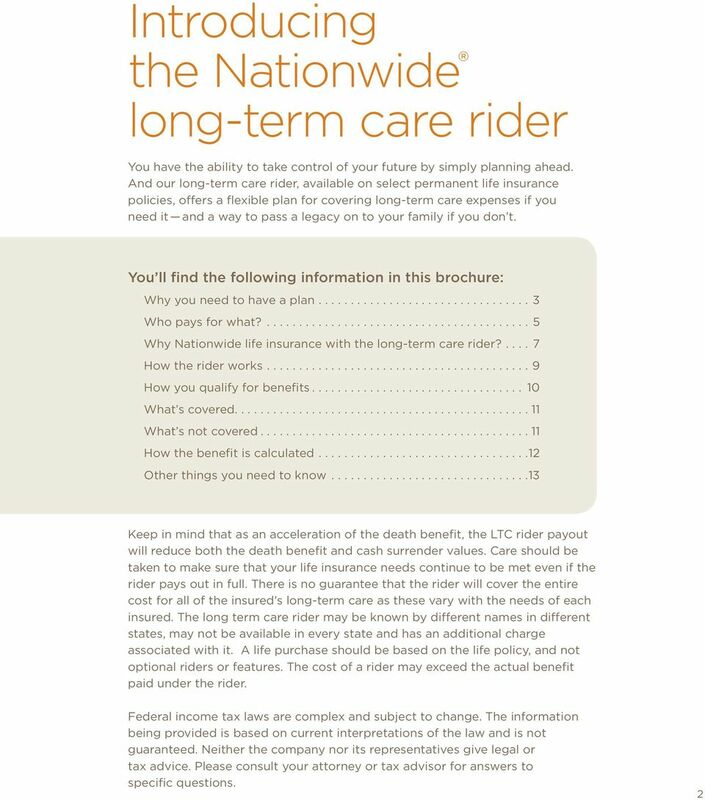 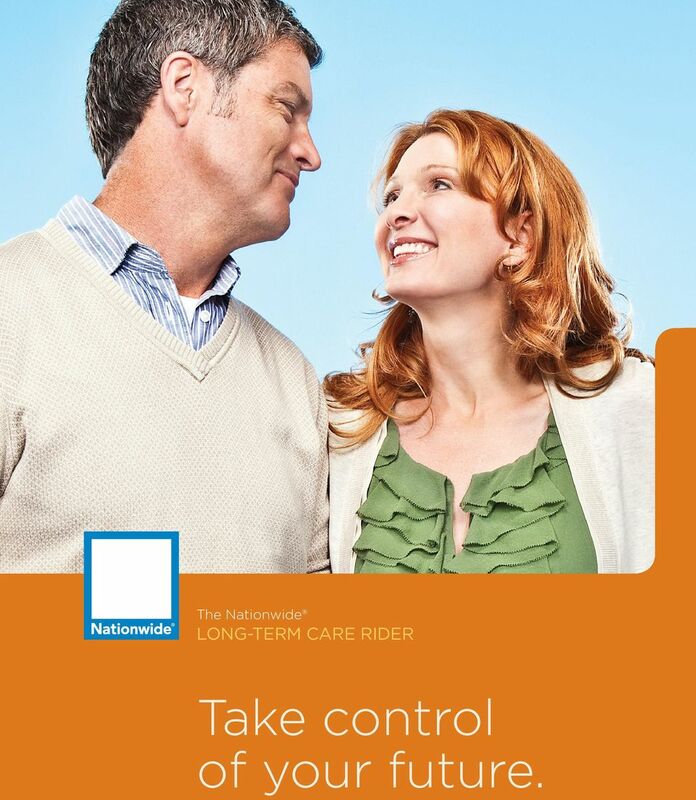 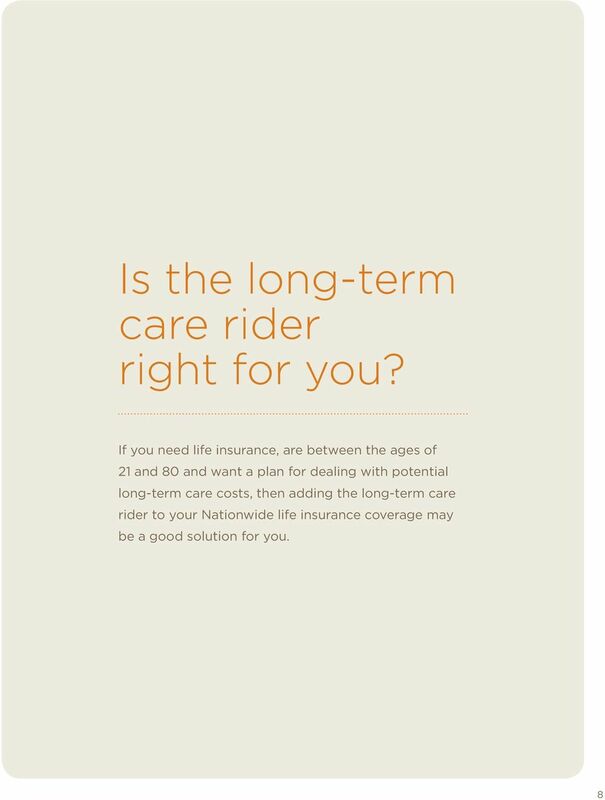 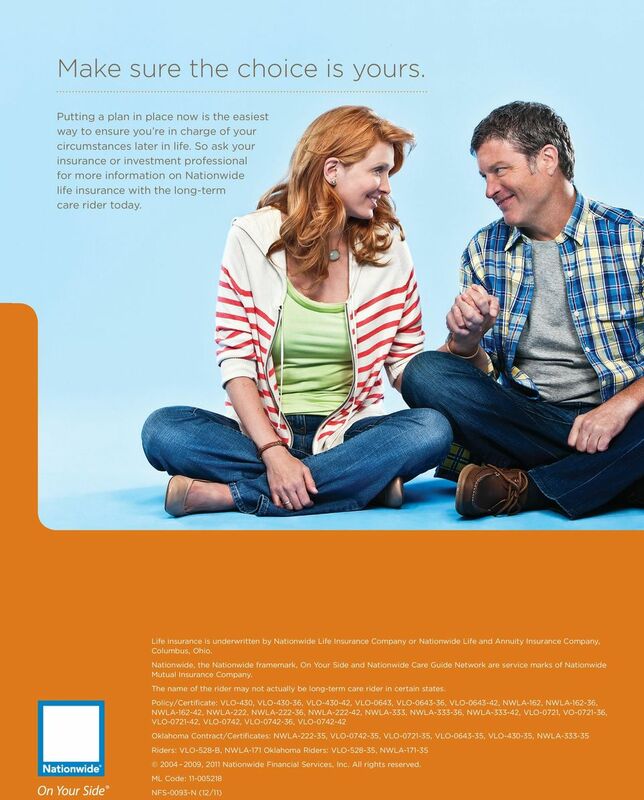 1 The Nationwide LONG-TERM CARE RIDER Take control of your future. 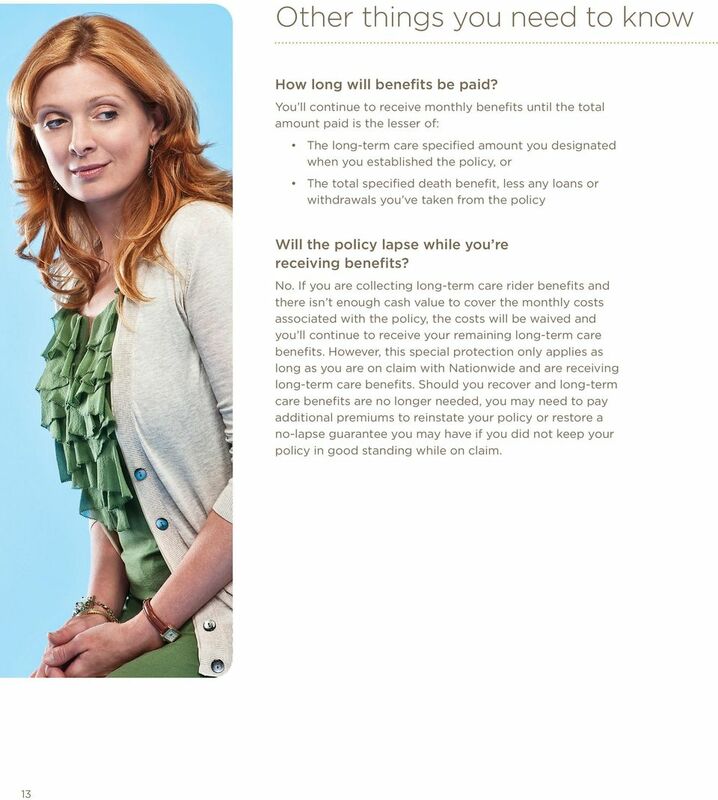 6 Who pays for what? 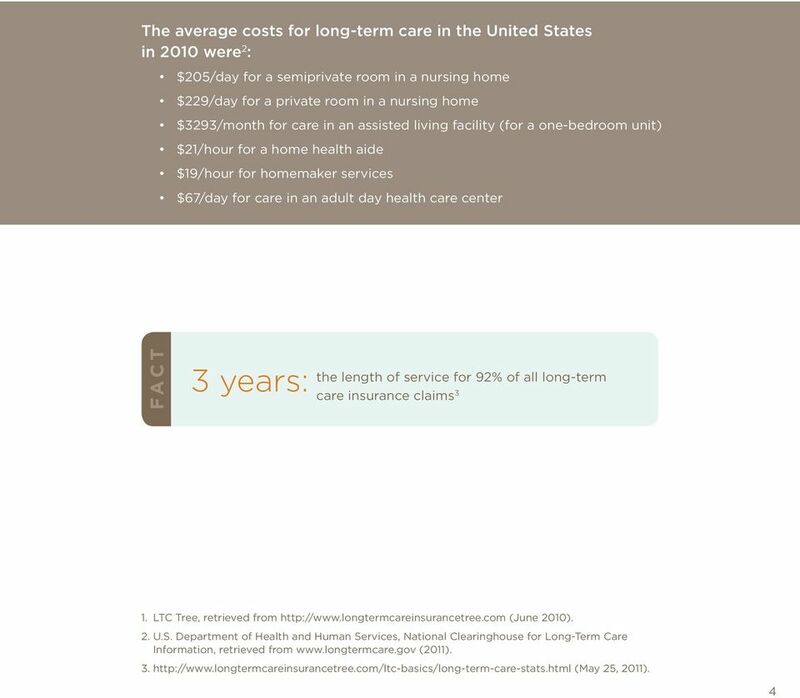 Long-term care costs can quickly add up, and a common misconception is that Medicare or Medicaid will pay for the expenses. 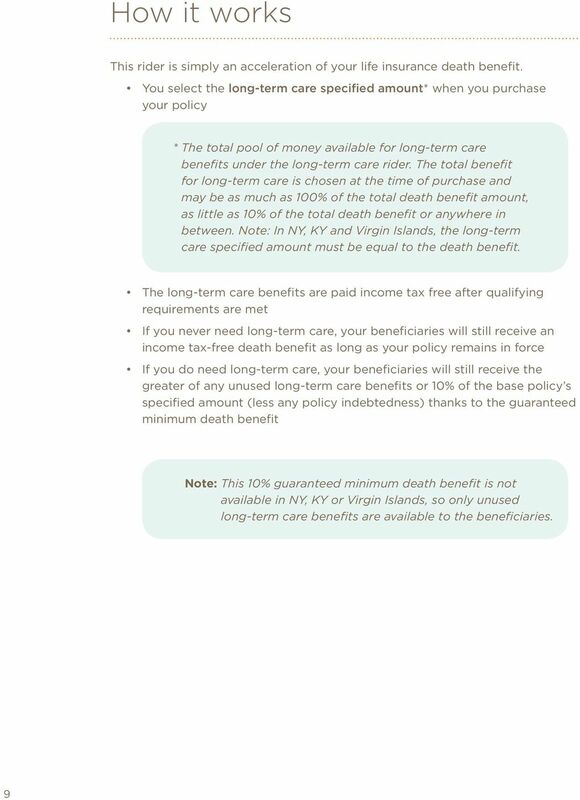 But the truth is, you ll need to be able to cover much of the expense yourself in the form of either cash or private insurance. 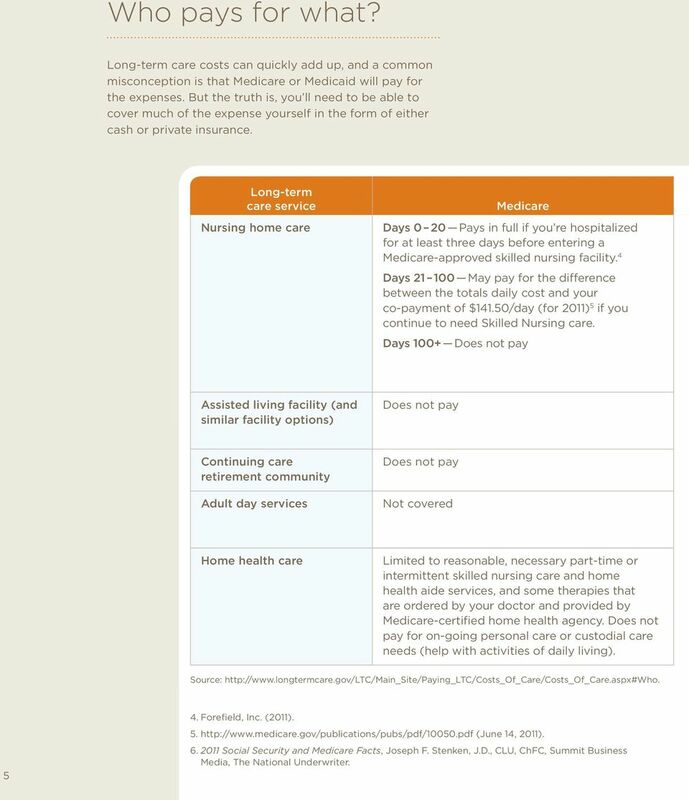 Long-term care service Nursing home care Medicare Days 0 20 Pays in full if you re hospitalized for at least three days before entering a Medicare-approved skilled nursing facility. 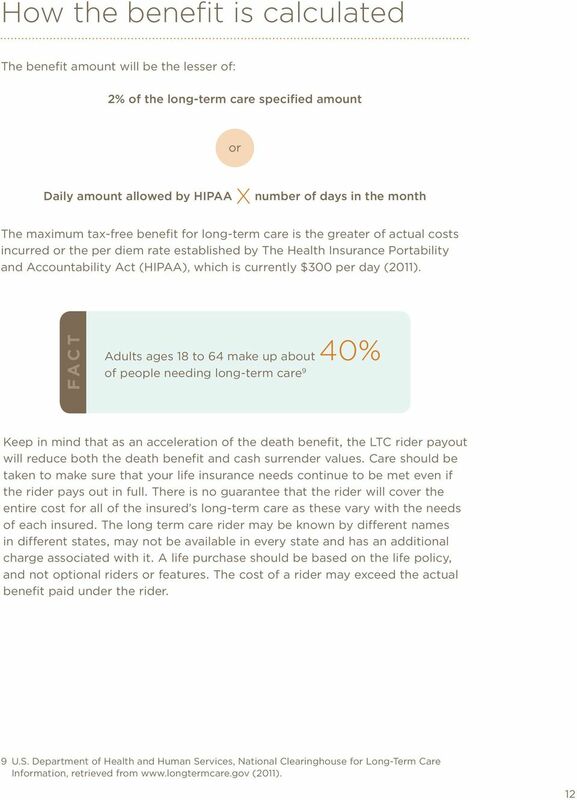 4 Days May pay for the difference between the totals daily cost and your co-payment of $141.50/day (for 2011) 5 if you continue to need Skilled Nursing care. 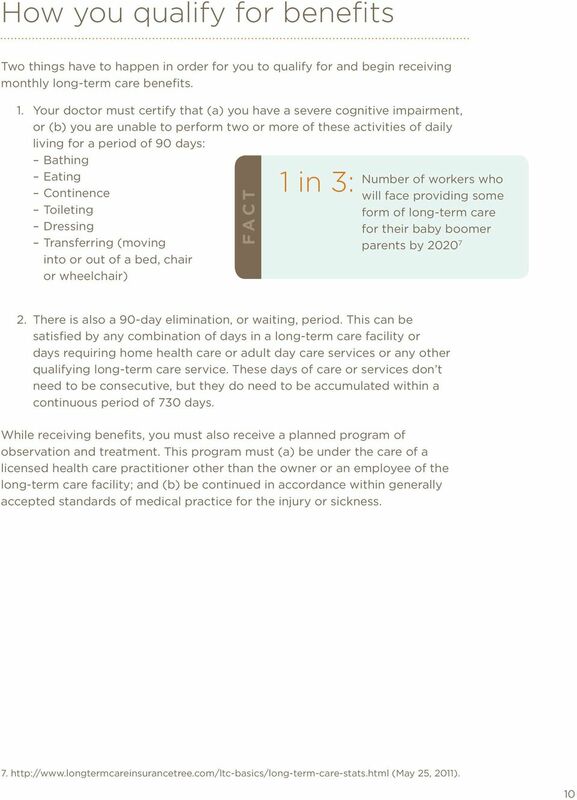 Days 100+ Does not pay Assisted living facility (and similar facility options) Does not pay Continuing care retirement community Adult day services Does not pay Not covered Home health care Limited to reasonable, necessary part-time or intermittent skilled nursing care and home health aide services, and some therapies that are ordered by your doctor and provided by Medicare-certified home health agency. 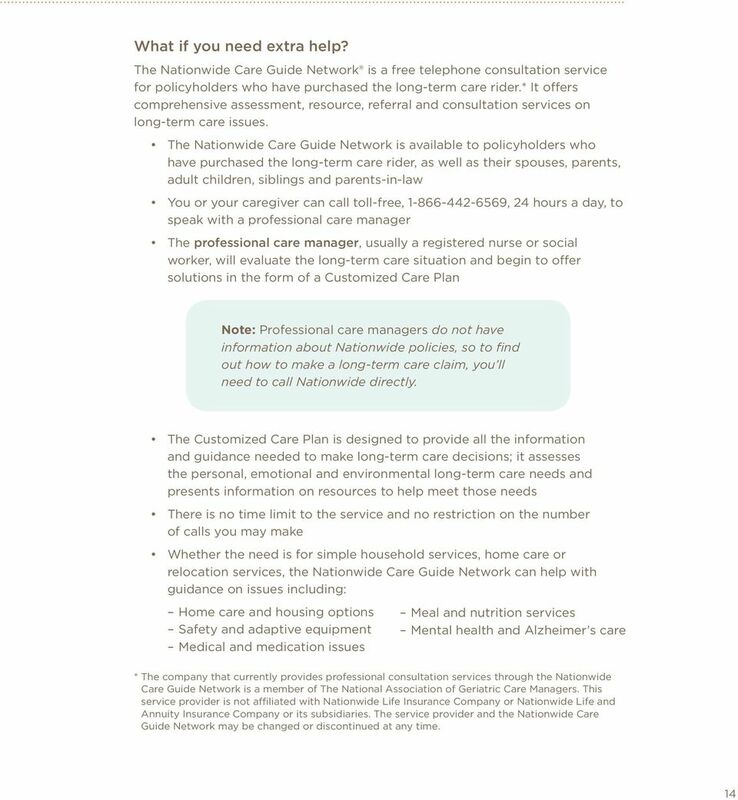 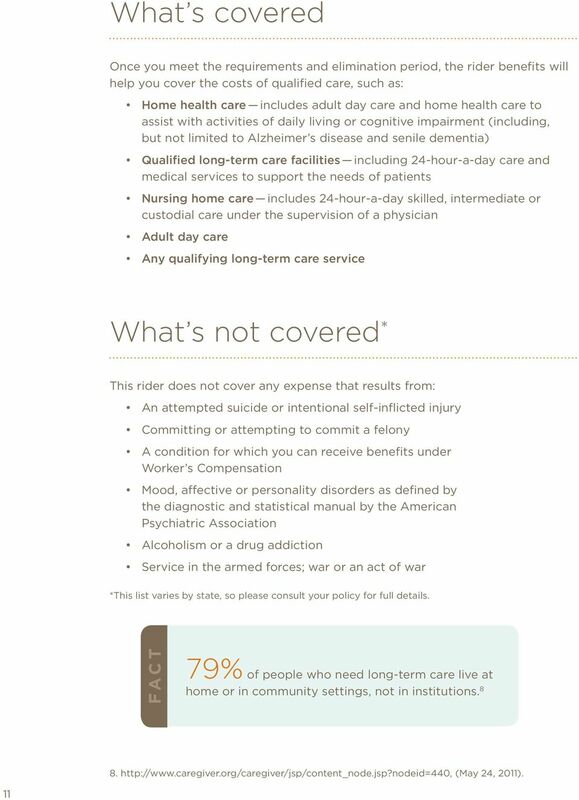 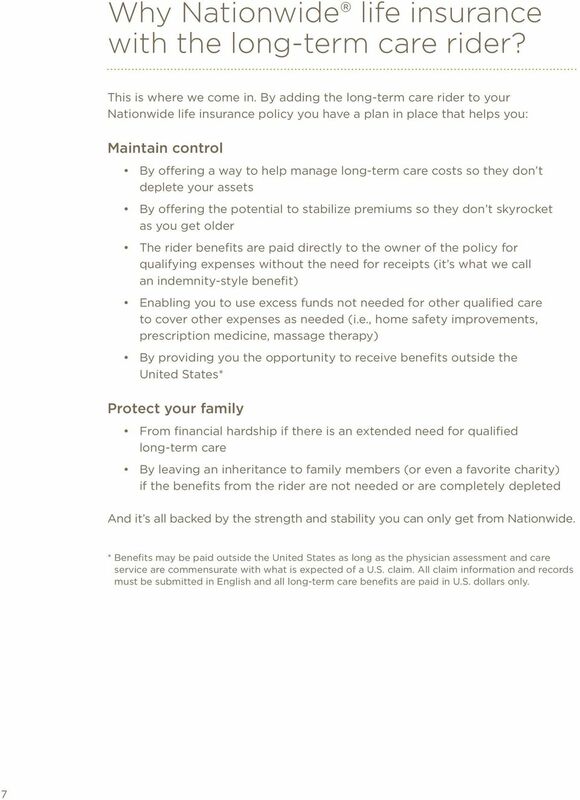 Does not pay for on-going personal care or custodial care needs (help with activities of daily living). 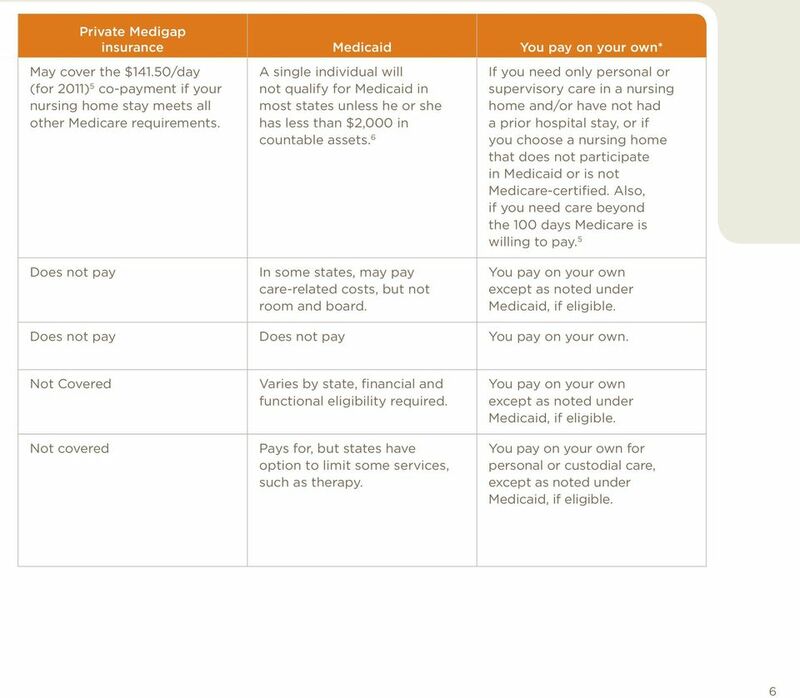 Source: Forefield, Inc. (2011) (June 14, 2011) Social Security and Medicare Facts, Joseph F. Stenken, J.D., CLU, ChFC, Summit Business Media, The National Underwriter.